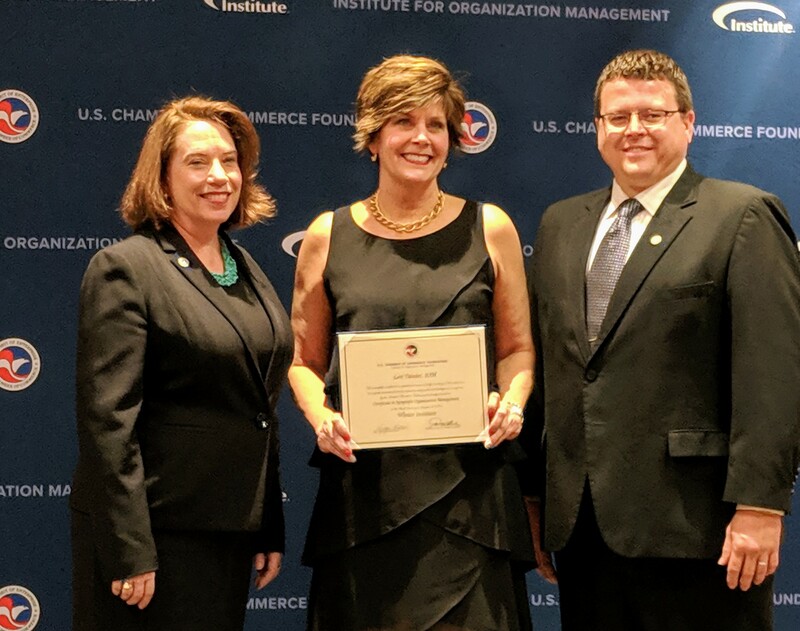 WASHINGTON, D.C.— Institute for Organization Management, the professional development program of the U.S. Chamber of Commerce Foundation, is pleased to announce that Lori Tainter, IOM, Vice President of Member Services & New Media Coordinator, of the Greater St. Charles County Chamber of Commerce, has graduated from the program and has received the recognition of IOM. Awarded to all graduates of the Institute program, the IOM Graduate Recognition signifies the individual’s completion of 96 hours of course instruction in nonprofit management. In addition, participants can earn credit hours toward the Certified Chamber Executive (CCE) or Certified Association Executive (CAE) certifications. Nearly 1,000 individuals attend Institute annually.